Last night in Geneva, the United Nations Committee against Torture called for a review of Australia's supermax prisons, the abolition of mandatory immigration detention and for a referendum on a federal Bill of Rights. The NSW Council for Civil Liberties (CCL) endorses all of these calls. 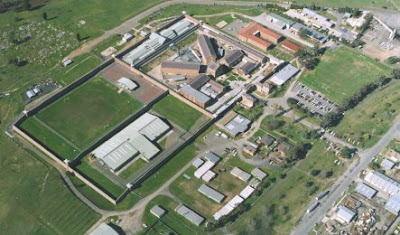 The Torture Committee expressed concern about conditions in Australian prisons, especially the so-called supermaximum prisons like the notorious HRMU 'Supermax' at Goulburn gaol. “The UN is right to be concerned about the state of Australia's prisons. You are 11-times more likely to be in prison if you are indigenous. The incarceration of the mentally-ill continues to increase. Juveniles and adults are not necessarily being kept apart in NSW prisons. Our remand facilities are overcrowded,” Mr Murphy said. “CCL joins the Torture Committee in calling for a complete review of the regime imposed on detainees in supermax prisons. In the HRMU at Goulburn, inmates can be kept in inhumane conditions for an indefinite period. Last year, the NSW Coroner was also highly critical that mentally-ill people are placed in isolation in the supermax prison,” Mr Murphy said. "The Torture Committee wants an update in 12 months on the conclusions of the review into the supermax prisons. CCL calls on the NSW and Victorian governments to cooperate with the federal government when it conducts an open and independent inquiry into conditions in Australia's Supermax prisons at Goulburn and Barwon," Mr Murphy said. "If there's nothing wrong with these prisons, then the States have nothing to fear from any federal inquiry," Mr Murphy said. The Torture Committee also called for the abolition of mandatory immigration detention. "CCL supports the call for the abolition of mandatory immigration detention. It is okay to hold people for a short time to determine their identity and health status, however it is completely unacceptable to lock people up for extended periods of time when they have committed no crime", Mr Murphy said. "Australia should implement the recommendations of the Torture Committee and end the inhumane policy of mandatory immigration detention," Mr Murphy said. "Australia needs to overhaul all the draconian terrorism legislation introduced since September 2001," Mr Murphy said. "Australia also needs to investigate the very serious claims of torture made by Mamdouh Habib and David Hicks," Mr Murphy said. "It is unacceptable that Australia keeps asking the torturers to investigate complaints of torture. That's like asking the wolves to investigate why the sheep went missing," Mr Murphy said. "Australia should not have asked the US or Egypt to investigate whether they had tortured Mr Habib. Only a full Royal Commission can get to the bottom of all this," Mr Murphy said. "The Australian government should be compensating victims of torture. Not fighting them every step in the courts. The Australian government should read the UN Torture Committee's report very carefully," Mr Murphy said. The Torture Committee also called on the federal government to adopt a constitutional Bill of Rights protecting human rights in Australia. "CCL has long advocated for a constitutional Bill of Rights to protect the most vulnerable in our society. This is the upteenth time the UN has called for Australia to enshrine a Bill of Rights", Mr Murphy said. "We welcome federal Attorney-General Robert McClelland's announcement that he will consult on how best to protect rights in Australia. We hope that the Rudd government will be true to its promise to listen to the UN and will hold a referendum to enshrine a Bill of Rights in Australia. Australians deserve that opportunity to vote for a Bill of Rights to protect us all," Mr Murphy said. The Torture Committee welcomed Australia's announcement that it will ratify the Optional Protocol to the Torture Convention. The Optional Protocol will allow the UN and independent Australian bodies to do spot checks of places of detention like prisons and immigration detention centres. “CCL welcomes the Rudd government's announcement that it will ratify the Optional Protocol to the Torture Convention. Federal parliament needs to move quickly to adopt the Optional Protocol into Australian law and implement the Torture Committee's recommendations”, Mr Murphy said. The full agenda for ICOPA is now online, and pending any further changes, the line-up is looking like we're going to have a fascinating conference. With speakers coming to present papers from Brazil, Trinidad, Canada, Australia, USA, Belgium, Argentina, South Africa plus many more including the UK, we are really looking at a truly international conference. Prisons are too important to be left to jailers, for the simple reason that the standard prison magnifies social problems. It is a congregation of people with an accumu–lation of risk factors for crime. The lawyer for former Gold Coast [scapegoat] terrorism suspect Dr Mohamed Haneef says he is worried a Government-ordered inquiry into the case will be a waste of time and money. Anti-terrorism laws are just 'state sanctioned terrorism' aimed at 'innocent people' and using them as 'scapegoats' for Australia's 'alleged war on terror'. These laws were meant to project 'fear' in the community that we somehow need to be protected so that the government can wage war on innocent people for resources around the world unchallenged.